I am willing to donate my hair to cancer patients. Today I got my hair cut short after a very long time of almost 10 years. When I asked the hair stylist that what they are going to do with my hair, he told me that they will use it for hair colour swatches. I realised that why shouldn’t I make it useful for a beautiful cause which would bring a smile to someone’s face? I immediately googled and got to know about many organisations doing it and took the part of my hair back with me to send it to you. 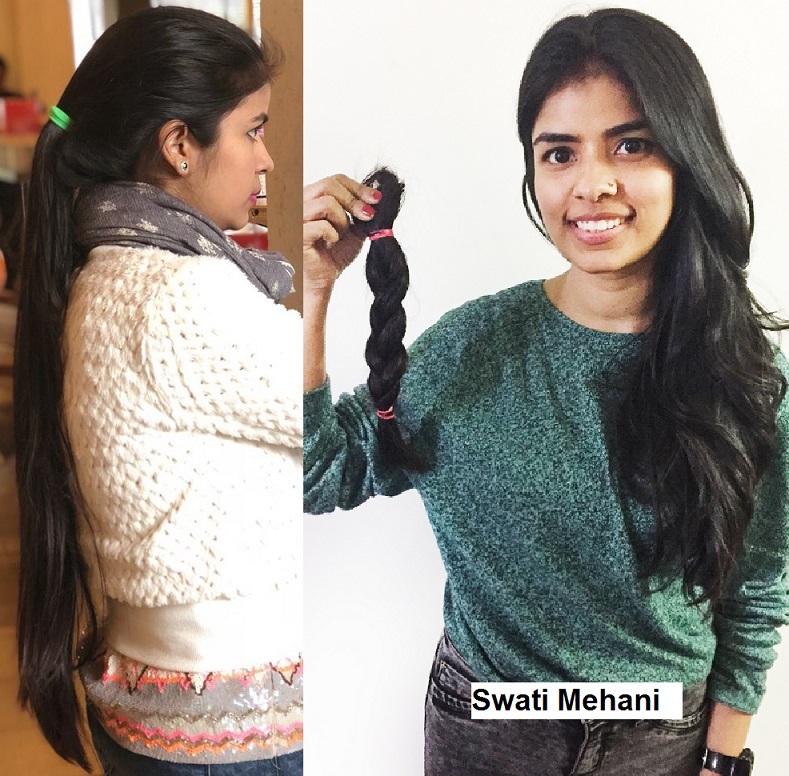 I am glad about this and proudly giving my hair for the cause. Also, I look forward to making people aware more and more about this.